I love my Oakley MX goggles. There are a lot of great eyewear brands out there that promise quality features but few of them deliver. Oakley is a mammoth company that owns popular brands including Ray-Ban, Persol and Oakley. 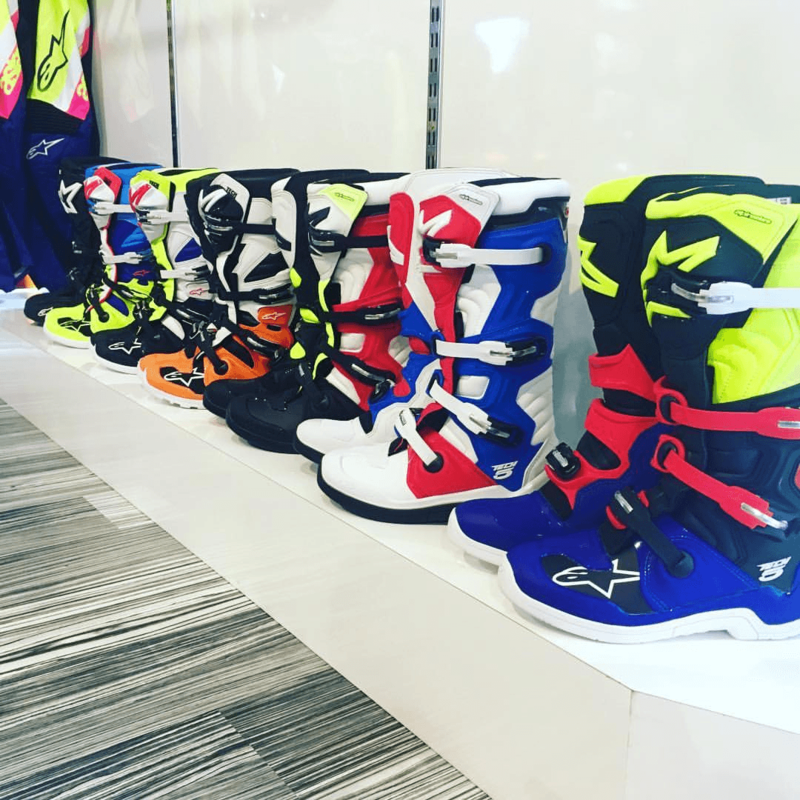 They design, manufacture, distribute and sell several brands in popular shops worldwide – and more than a few of their pairs have found a spot in my house (once you get your first pair, they become irresistible – you’ll see). Motorcycle goggles are an essential piece of riding equipment that protects the eyes and honestly, it’s not something you should skimp on. Whether you’re wearing a full or open-face helmet, Oakley goggles are a reliable piece of protective gear. Here’s everything you need to know before choosing the best Oakley goggles for your needs. Affordability is always a plus. Oakley has a range of goggles available for riders who already spent the bigger part of their budget on other motorcycle gear and equipment. Just a short bit of history to highlight the success of Oakley over the years. After all, I can’t tell you it’s a successful brand without telling you why. Back in 1975, the founder of Oakley James Jannard started the company out of his garage. Despite a humble beginning with just $300 investment, the Oakley brand has grown to the massive company it is today and holds hundreds of patents for performance gear, materials and eyewear. 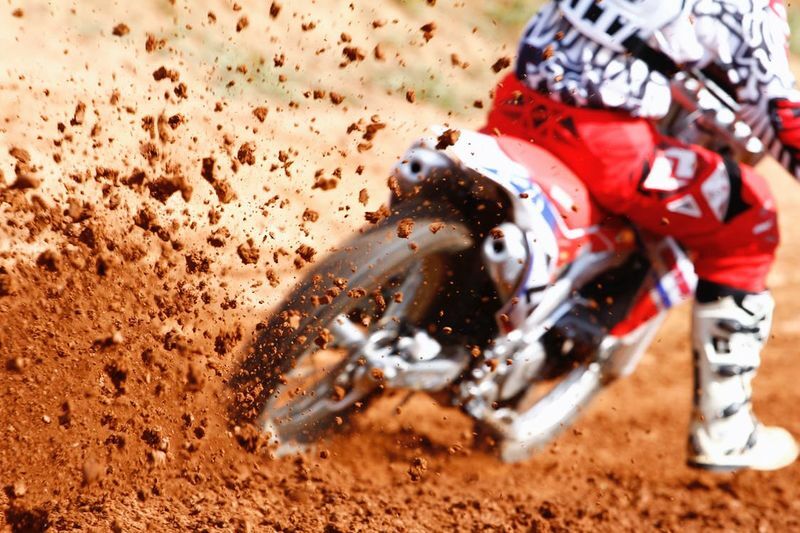 Today, Oakley creates several eyewear ranges for motorcycle riding and in particular, motocross and dirt bike riding. The first thing that should come to mind when you think about goggles is the safety factor. 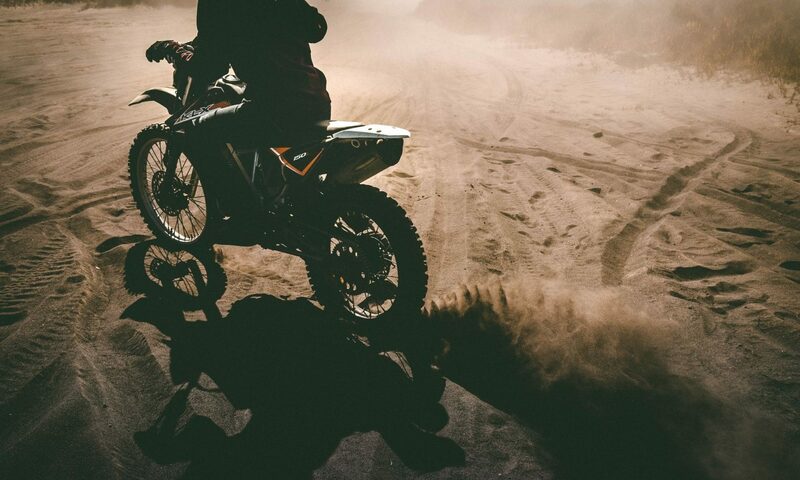 Motocross is a rough adventure, and off-roading is a crazy ride that drives your wife crazy because you’re bound to return home with more than just a few scrapes and bruises. Goggles will protect your eyes from the many objects that fly at you while riding, whether it’s dust, rain, wind, insects or rocks that are sent your way by other riders on the trail. When choosing a pair of goggles, look for a pair that is sturdy and offers impact protection. Another thing to look out for: protection against the sun. Goggle safety extends beyond just protecting the eyes against physical objects. Although we love a spot of sunshine while hitting the road, too much sunshine could be a problem. Motorcycle goggles protect the eyes from bright sunshine that could harm your eyesight and even cause accidents due to obstructed vision. Here’s a thorough list of just some of the eye injuries that can occur if you fail to wear protective eyewear, especially when you have an open or half-face helmet on. None of them are pretty. In fact, they can be extremely painful, harmful and often expensive to treat. Whether you’re wearing an open or full-face helmet, motorcycle goggles need to fit well under the helmet. Too big and they could cause pressure around the eyes and on the bridge of your nose. Too small and they could shift around while you ride or cut into your eyes in an accident. Some helmets even have grooves cut into the helmet so that the goggles fit better. The need for eyewear protection is something you can’t escape, so you might as well go in for comfort. 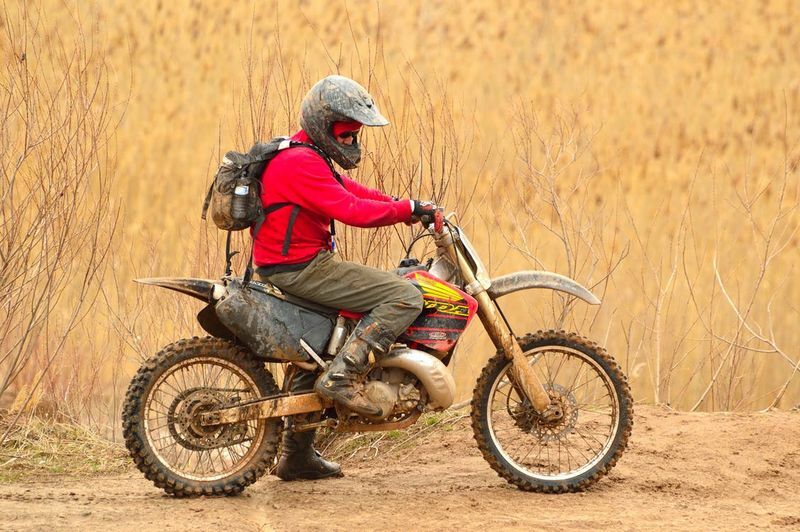 Many motorcycle goggle pairs are padded with sweat-resistant and moisture-wicking material for extra comfort on rides – something that you’ll definitely appreciate once you hit the long road on a hot summer day! Similarly, a pair of motorcycle goggles with good vents for airflow will increase comfort while riding. 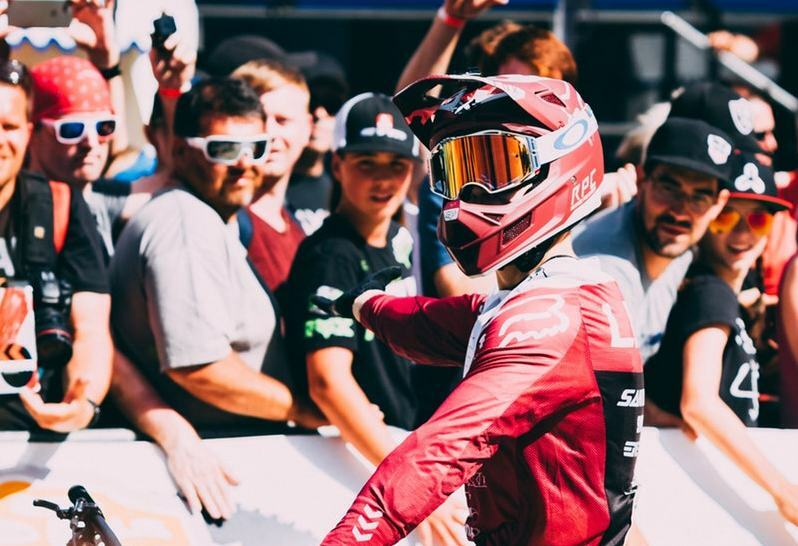 Visors do come with tinted options but if you want a real customized eyewear experience, get an Oakley pair of motocross or dirt bike goggles. Oakley has a wide range of lenses that comprise different materials. Features such as UV protection, anti-fog treatment and impact protection are just a few of the options that your Oakley goggles can offer. Choose orange or yellow lenses for better vision on dreary days, and clear lenses for easier night-time riding. Interchangeable lenses also allow you to insert prescription eyewear. Many riders that are daily commuters or take short rides often don’t see the need for an extra level of eye protection. 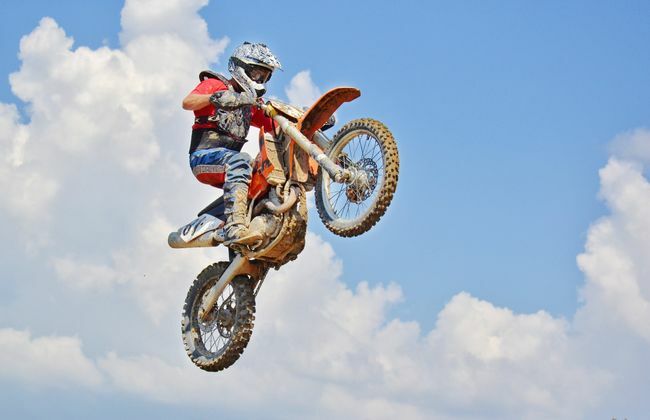 However, dirt biking and motocross riding (even with full helmets) require a level of extra protection. Oakley motorcycle goggles provide a high level of protection for precisely these purposes, without compromising on comfort. Choose a pair of Oakley’s that fits well under your helmet and doesn’t restrict your peripheral vision. Oakley has specially crafted frames such as the O Matter frame that is lightweight and flexible. The Oakley O Matter patent includes strap connections to help control goggle pressure around the eyes and head. Oakley offers special lenses and materials to provide UV and blue light protection. 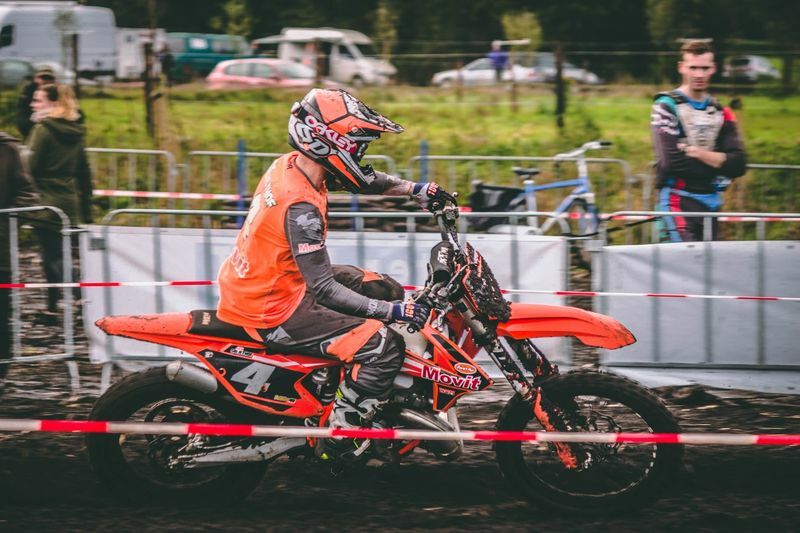 Some pairs come with switch-lock lenses that make it easy to change between lenses, and some Oakley’s even have features like allowing you to see slight changes in dirt conditions - the perfect feature for off-road and motocross riding, right? Some Oakley pairs come with a removable nose guard that can be attached for extra comfort. Are you clumsy? I am, which makes this shatterproof, impact-resistant pair of goggles a great choice. Here’s the perfect example of a motorcycle goggle that was created with trademark Oakley features. The lenses are clear and offer a fantastic wide view. The O-Matter frame is made with a type of nylon-infused plastic that makes it more flexible, allowing the frames to better absorb impact and adjust to temperature changes without cracking – pretty much ideal for any weather condition. I don’t know about everyone else but I’m clumsy. I don’t need to be on a bike, or even near a bike, to drop a nice pair of goggles and have them snap, break or smash. For obvious reasons, I always opt for a pair that is impact-resistant and strong enough to withstand heavy wear and tear. Remember we told you about the removable nose guard? This is one of the pairs that features a nose guard to make wearing goggles over the long term that much more bearable. Summer is coming and these would be a great option for Oakley motocross goggles that offer ultimate protection and comfort. Oakley’s Mayhem Pro range is favoured by professionals due to the inclusion of another patent Oakley product, namely Prizm MX lenses. Basically, the lenses are made with special technology that maximizes contrast and controls light transmission in various conditions. For motorcyclists, this means that Prizm highlights shades and light to improve depth perception and road texture recognition. If you don’t think that’s useful, you probably haven’t spent enough time out on the trails! The Plutonite lenses from Oakley ensure that the lenses block out blue light while offering maximum UV protection from harsh sunlight. Another pair of Oakley goggles fit with Prizm lenses, this pair of Oakley dirt bike goggles includes a high-impact Plutonite lens. What is Plutonite, you ask? Another Oakley patent, one that uses a high grade polycarbonate material to create strong lenses that are UV-protective. They also block out blue light and offer shatterproof properties for maximum durability. A wide field of vision is a great asset for wild rides where you need to notice every little tree stump and branch sticking into your way. There’s nothing quite as frustrating as having an extremely limited field of view so rather go all in and buy the gear that will give you what you need. Despite the high quality of Oakley goggles, there are still great options available across all price ranges. These babies come with a clear lens and a carbon fiber construction, using the signature Oakley O Matter frame. The anti-fog treatment holds up well in hot weather and the lenses are also scratch- and impact-resistant. Why not level up your off-roading with these goggles? The clear lenses are perfect for night-time riding and as long as your bike is geared with some extra lights, they could be the perfect companion for off-roading in the dark. Maybe you could head to the tracks right before the sun comes up and switch out the lenses for a tinted version as the day breaks. Slip these goggles over your prescription eyewear with no trouble at all – perfect! Anybody out there wear glasses? Here’s a pair of goggles that fit over prescription eyewear. Corrective glasses are no longer a reason to stop riding – simply slip these goggles over your glasses and hop onto your sweet ride. The liner is made of moisture-wicking fleece and offers great comfort, even when the goggles are worn over glasses. The goggles are quite large to make sure that they fit well over glasses so make sure to fit these with a helmet before buying them. The lenses are strong and impact-resistant, with a silicone strap that’s non-slip for the most secure fit you could wish for. 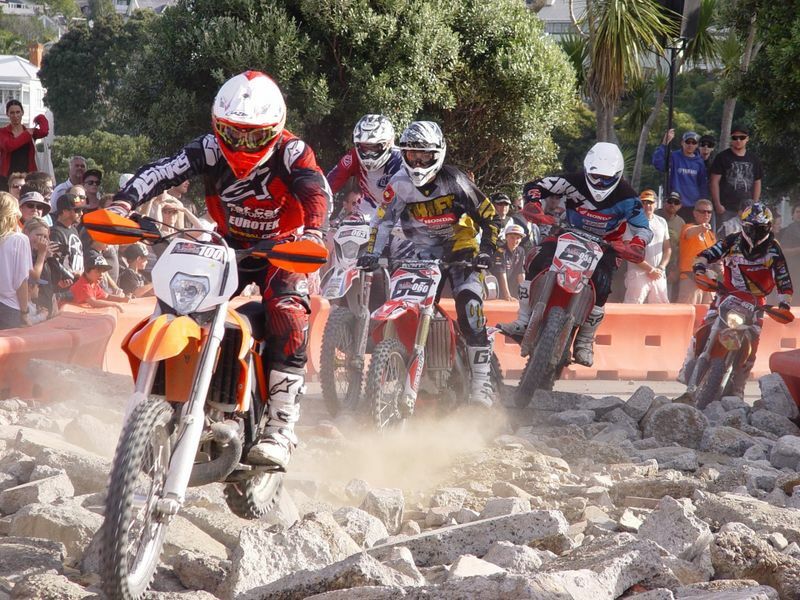 There’s a fantastic selection of Oakley dirt bike goggles available for riding. 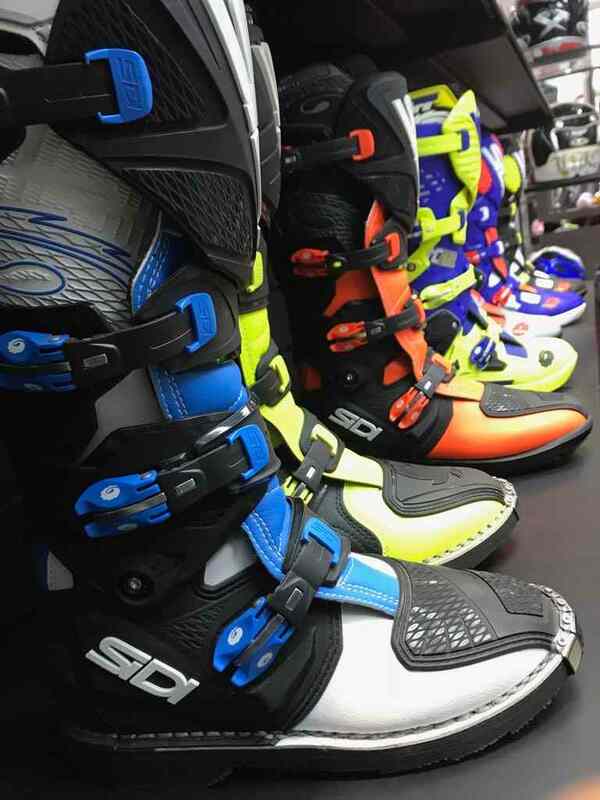 The goggles are multi-purpose and can be used for other activities like casual riding, touring and even snow-mobile riding – yet another great reason to invest in a good pair that is sure to last. Our vote for the best Oakley MX goggles is the Oakley Mayhem Pro. 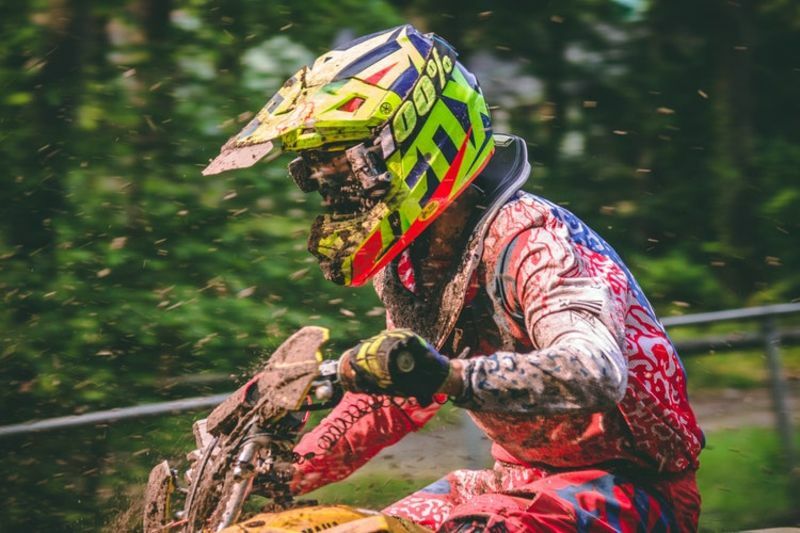 The Prizm lenses offer superior features like added road perception and increased depth awareness, things that can really make the difference between simply enduring and actually enjoying your off-road or motocross ride. The price is reasonable for the quality and in terms of getting the best product tailored for MX and off-roading, this pair of goggles ticks all the right boxes. Well, what are you waiting for?